As UCLR holds its 25th Annual Cesar Chavez Peace & Justice Awards Banquet, it's always worth retelling the story of Cesar Chavez, Dolores Huerta and the United Farm Workers who showed us that peaceful activism can make a major impact for the Latino community and the causes of social justice. Cesar Chavez was born March 31, 1927 on a small farm near Yuma, Arizona that was homesteaded by his grandfather during the 1880s. Chavez’s life as a migrant worker began at age 10 when his father lost the family’s land during the Great Depression. The Chavez family, along with many other families, labored in fields and vineyards across the Southwest. From that young age, Chavez saw the injustice in farmworkers providing fresh food for many families across America while the farmworkers themselves and their families often went hungry and endured terrible conditions for unlivable wages. After serving in the U.S. Navy during World War II, Chavez married Helen Fabela in 1948 and began working for Community Service Organization where he learned to organize workers. In 1962, Chavez used his life savings of $1,200 to form the National Farm Workers Association (NFWA) in Delano, California. In 1965, the NWFA, under the leadership of Chavez and Dolores Huerta, called for a strike against grape growers, joining Filipino farmworkers in the Agricultural Workers Organizing Committee, and merging to form the United Farm Workers (UFW). Chavez led strikes and marches in California and Texas, ultimately calling for a nationwide boycott of non-union California grapes in 1967. The following year, Chavez fasted for 25 days to recommit himself to the struggle for justice through nonviolence. After UFW succeeded against grape growers in 1970, Chavez called for a nationwide boycott of lettuce and began a second fast for 24 days to protest Arizona laws against organized labor. Chavez’s work, along with Dolores Huerta and the UFW, improved wages and working conditions for farmworkers throughout the 1960s and 1970s. This work culminated in California’s landmark Agricultural Labor Relations Act, which established collective bargaining rights for farmworkers. By 1986, Chavez began a campaign against pesticide poisoning of farmworkers and their children. Calling it the “Wrath of Grapes” campaign, it led Chavez to his third fast for 36 days in 1988. Chavez continued organizing and working for others until his death in 1993 at age 66. More than 40,000 people attended his funeral and President Bill Clinton posthumously awarded Chavez the Medal of Freedom, the highest civilian award. 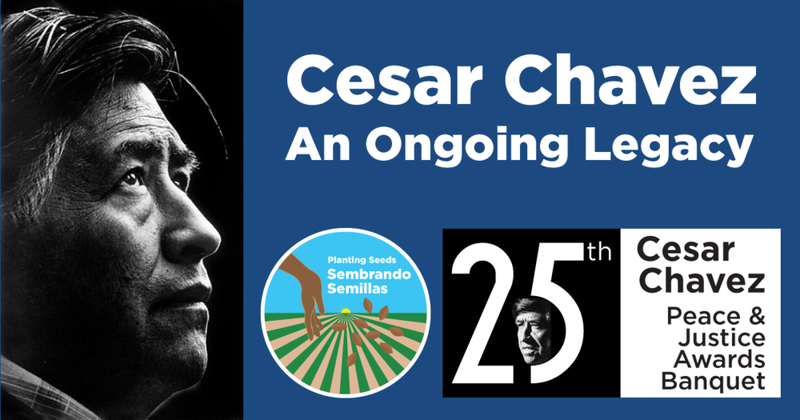 Cesar Chavez leaves us a legacy of grassroots organizing, advocacy for underserved, and always advancing the causes of peace and justice.